As a result, we got addicted to seeking greater respect and recognition for ourselves. No sooner did somebody try to slight us than we flew into a rage. So we did not seriously follow the instructions that the Guru gave us and therefore COMMITTED THE MISTAKES DUE TO OUR CARELESSNESS. The moment we forgot the spiritual knowledge given by him, we were gone. Supposing we are on a ship and suddenly we jump into the sea and then blame the ship crew for not saving us from getting drowned. The ship crew did not push you into the sea. It was you who left the ship. Why did you do so? Those who continued to be on board, they are traveling comfortably and will reach their destination - America, England or wherever. The spiritual knowledge that the Guru gave us will work like a revolver. Even the strongest wrestler cannot do us any harm since we have a revolver for our protection. Similarly, we have our Guru's teachings with us which have inherent strength to deal easily with the most critical situation in the world. If we had obeyed the Guru we would not be so negligent. The only price one has to pay for God realization is to surrender to the Guru. why do not people surrender to the Guru? 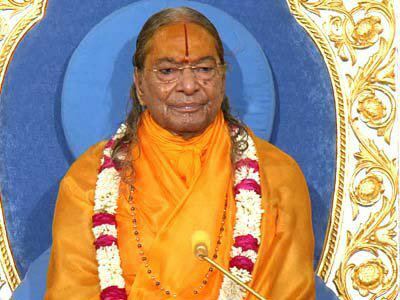 It because they are not sincere in performing the duties given to them by the Guru. For example when they are instructed by the Guru to participate in the kirtan (chanting of God's name), they tend to think that the kirtan will continue until the next morning and the Guru having left to retire, they can also go to sleep and rejoin the kirtan early in the morning. And the Guru will never come to know of it. This insincerity in one's nature is the cause of one's downfall. This is the reason why people fall down on their way to their cherished goal. When the Guru asks you for something why should you consult your intellect? why don't you think that when you were born, you did not even have the clothes on your body? They were given to you either by God or by the Guru. So if everything that you have belongs to the Guru, why do you hesitate for a moment to part with it? Think on it over and over again. Even minor mistakes and small acts of negligence in following the instructions if the Guru can lead to your downfall. Serving the Guru while disobeying his instructions is alo a sin against him. So we ourselver, our lack of wisdom and our non-serious attitude are the cause of our downfall. On the other hand, our rise is all due to the grace of our Guru. If it was left to our intellect we would never have risen, because our intellect is under the influence of maya. This divine wisdom is the gift from our Guru which guided us to do this and not to do that. It is with its support and guidance that we chanted the name of God, shed tears for Him. Whatever good things we have got, they came to us through the Guru. It is with his grace that we are able to do good deeds. Whenever we ignored the directive of the Guru and trust our already muddled intellect we went astray doing wrong thing. Now that we are suffering, we have started blaming the Guru or God for our downfall. Therefore, we have to understand that all good things that we are doing are all due to his grace and all wrong things are due to our own mistakes and because we acted against his directive and depended on our own intellect which resulted in our downfall. Always think, whether the devotional practice that you are performing is actually accumulating or whether it is being dissipated by your acts of omission and commission.